Russia’s first state-run museum devoted to the overthrown Tsar Nicholas II and his family has opened in Tobolsk, Siberia, in the former governor’s mansion where they were imprisoned for eight months from August 1917. They were taken to Yekaterinburg and executed a year later. The Russian Orthodox Church plays a central role in commemorating the Romanovs, who were canonised as Royal Passion-Bearers in 2000 for their steadfast faith at the end of their lives. A 700km religious procession marking the 100th anniversary of the family’s murder began earlier this month in Tobolsk and is due to end in July in Yekaterinburg. The Romanovs are also revered by the historian Anna Gromova, the wife of the Kremlin official Alexei Gromov. She has overseen the curatorial side of the museum. 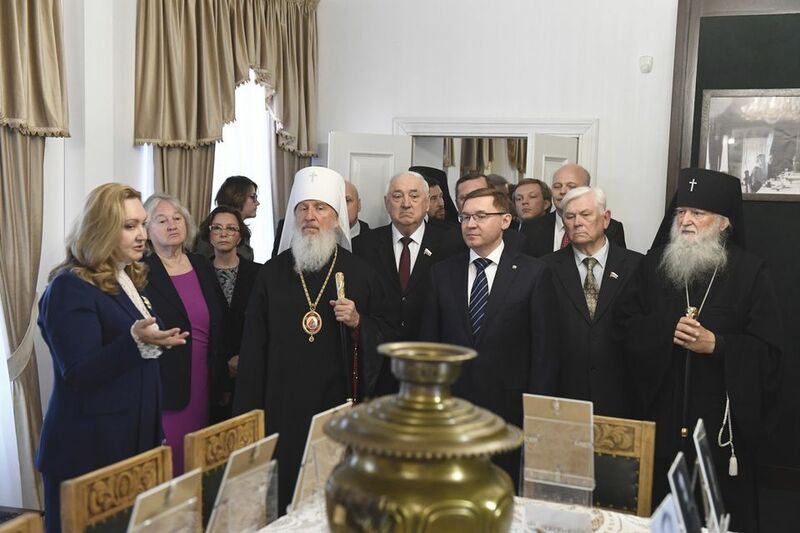 At the opening in April, she said that it should serve as “a high spiritual example of the Royal Martyrs to remind all of us of a responsible attitude towards our Fatherland, our family, our faith”, according to the Facebook page Romanov News. This is maintained by Paul Kulikovsky, a great-great grandson of Tsar Alexander III and the only descendant of the Romanovs to attend the event. The Tobolsk museum was able to secure temporary loans from major Russian institutions, including the Central Armed Forces Museum and the State Archive, as well as private collections. Among the items in its permanent collection are a silk shawl and a Gospel that belonged to Empress Alexandra Feodorovna. The Tyumen Museum and Educational Association drew criticism in 2017 after the collection of Tyumen’s art museum was moved to an incomplete new building to make way for a multimedia exhibition, Russia—My History. It was created by Tikhon Shevkunov, a Russian Orthodox bishop who is reputed to be President Vladimir Putin’s confessor. The show, which was launched in Moscow, has multiplied across Russia and includes sections on the Romanov dynasty as well as the 1917 Revolution and its aftermath. Yet it also praises aspects of Soviet rule. The Tyumen affiliate is part of the Museum and Educational Association and has proved popular, with more than 130,000 visiting since it opened last November. Kulikovsky says that both the Tobolsk museum and Russia—My History “make Russian history accessible to a lot more people”. While the show’s multimedia technology draws the interest of young people, the museum is also an important showcase for “the real artefacts” in a “building that has historical significance”, he says.